When it comes to success, our goals are ever evolving, so we never really 'complete' our journey to success (that's actually good news, because the best is always yet to come!). That said, anyone who's achieved at least one or two of their ultimate success goals will tell you they needed mindset reminders to stay inspired and motivated to keep going. favorite reminders whenever you need them! 10. Imperfect action is better than no action. Perfectionism is the bane of progress. I've definitely been a victim of this in the past (and even now it still tries to creep in from time to time). It takes work to actively ignore the perfectionist side of you and get the job done, but it's by no means impossible and the more practiced, the easier it is to breath and embrace your beautiful imperfection! Promise. 9. Allow yourself to be where you are. You'll never know what others had to do to get where they are today, so it's a waste of energy comparing their progress to yours. There is no more perfect place to start than right where you are. You have your own amazing journey to take, so get going! 8. Vague goals yield vague results. Be specific with the outcome you want, but pay no attention to how you're going to get there. That part is not up to you, and will only slow your progress. 7. Everything you’ve ever wanted is on the other side of fear. Sometimes it's not a fear of failure, but a fear of success that holds us back. The truth is, you cannot know how your life will change once you achieve your vision of success, and 90% of your mind (the subconscious) sees unknowns as something scary. 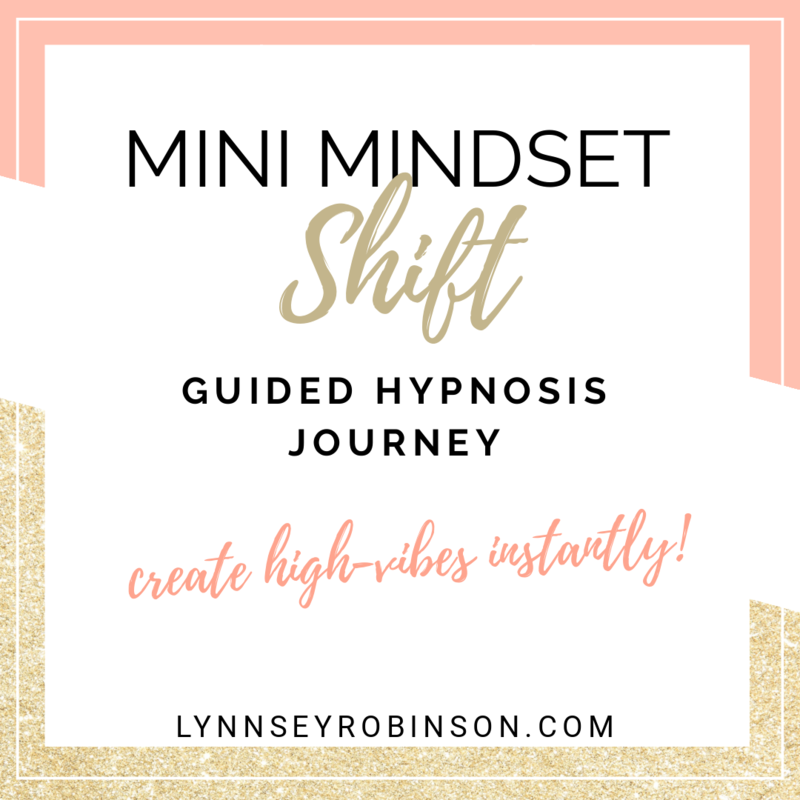 You can (lovingly, safely) train your mind to understand success as a welcome thing, simply by reminding yourself that it’s safe, as well as focusing on all the exciting, freeing aspects that come along with your inevitable success. 6. You’re really just one decision away from everything you’ve ever wanted. Building off #7, this is a reminder that you don't have to have all the answers, you just need to decide you're worth success and take the first step to get it. Whether it's hiring a coach, quitting your day job, or getting out of a bad relationship, the first step is usually the hardest, BUT will always be the turning point to a better life. 5. You haven’t come this far, to only get this far. Pretty sure this says it all, no? We're getting down to my absolute FAVORITE mindset hacks that have helped me through so many hard days in my business. This one reminds me that my whole life I've refused to settle and it's always paid off. It also reminds me that I deserve all the beautiful things life has to offer. So do you. 3. Feel the fear, and do it anyway. Of course the unknown can be scary... but if your intuition leads you to push past the fear, the view on the other side is incredible. Just wait. 2. Let it be easy. This one has become so important to me that I literally say it all the time. This may be incongruent with what you were taught, but life was never supposed to be difficult. We were never supposed to struggle to get what we want. There are no brownie points for suffering, so why not just let it be easy? Here's how (also easy): STEP 1: Think of a situation that you may be struggling with or seems challenging. Now think of one way you can make it a little more easy/fun for yourself. STEP 2: DO THAT THING. 1. Align your mind, create your life. Here it is, my #1 favorite mindset hack for success! Truly, the only thing stopping you from having the life of your dreams is YOU. There's just a dis-alignment between your current experience and what you'd like to experience instead. This is easily fixable once you go to the source: the subconscious. As stated above, it hold 90% of your mind power, including all automatic learned behaviors (and essentially what makes you, YOU). Ever heard the phrase "Change your mind, change your life"? It's 100% a thing that works. Have any of these resonated with you? Do you have a favorite quote, phrase, or hack that helps you stay inspired? Leave a comment and let me know!